Four-time World Superbike champion Carl Fogarty has teamed up with LS2 Helmets to recreate two classic Foggy designs on the brand’s latest Challenger helmet. The first of these liveries pays homage to Carl’s last World Superbike title, which will have occurred exactly 20 years ago, next year. The second design marks 30 years since his Formula One and Senior wins at the Isle of Man TT, which he won in 1990. The lids will be shown to the public for the first time at the Motorcycle Live show at the NEC, in Birmingham, on stand 4A26, and will be unveiled by the man himself. Just 50 of each replica will be available at the event at a price of £299 in sizes XXS to XXXL, alongside a multitude of £249.99 solid colour options and £269.99 graphic designs. The replicas will then be available once more from spring 2019. Speaking in a statement about the new designs, the seven-time world champion said: "LS2 have done a fantastic job in bringing two of my classic helmet designs into the modern era. These are top of the range helmets which combine a winning performance and design." Weighing in at around 1385 grams, the Challenger is a track-inspired helmet featuring a 3mm flat visor, complete with tear-off mounts and emergency release cheek pads, to be used in the event of a spill for easier access to the rider's head. To combat against a misting visor, there is a Pinlock insert and multiple vents. A drop-down sun visor and quick release strap are to be included, too. What's more, there is also a removable and washable hypoallergenic lining to help keep it fresh after extensive usage. As well as signing a helmet deal with LS2 King Carl Fogarty has also joined forces with CCM to create a Spitfire Foggy Edition motorcycle. Only 300 will be built…plus one for the man himself. Based on the Bolton firm’s tubular framed, single cylinder 600cc Spitfire platform, the Foggy Edition is inspired by the Blackburn rider’s illustrious WSB career. 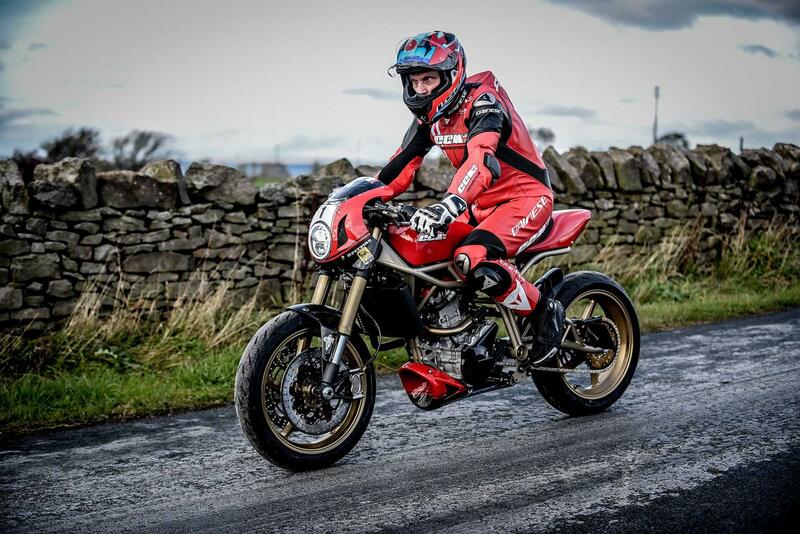 Although previously having a hand in the development of factory superbikes during his racing, this is the first time he’s been given a clean sheet to craft a new machine. Speaking to Chief Road Tester Michael Neeves about the design process, Foggy said: "It's really exciting to be so hands on. I’ve never been asked to design a bike before, so I was a bit nervous, but I thought if you’re going to relate a bike to me, it’s got to be associated with something I am famous for - riding a certain red bike, with a number one on it, during the 90s. "CCM’s director, Austin Clews, has been one of my best mates for the last 20 years. I've been involved with them before and I'm excited to be working with them again. They’ve got a great product with the Spitfire and I’ll be a lot more hands on than previous things I've done over the last few years." Motorcycle Live 2018 takes place at The NEC, Birmingham, November 17 - 25, with advance tickets on sale August 1, priced at £19.50 per adult, £12 for senior citizens, £1 for 11-16 year-olds (children aged ten and under go free) and under 16s must be accompanied by a paying adult. Buy a used motorcycle with MCN today. Win a limited edition signed Carl Fogarty X-lite helmet! 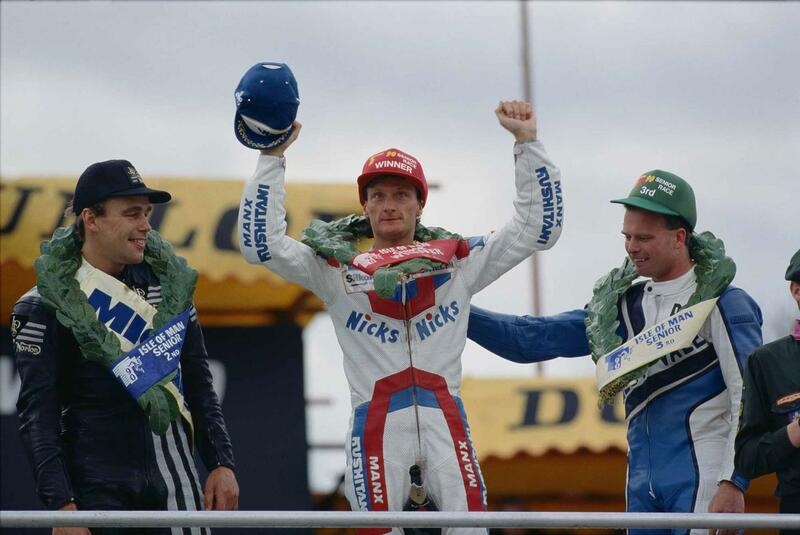 Carl Forgarty: WSB champion, TT winner, jungle expert and notoriously tough customer. Until now. Four-time WSB champ Carl Fogarty has joined forces with CCM to create this Spitfire Foggy Edition. What are the stars of the Devitt MCN Ally Pally Show looking forward to in 2019? Win a signed Helmet by Carl Fogarty plus a copy of SBKX game and bag!